Your Expression number is derived from your full name at birth. Your name should include your first name, your last name, and your middle name if you have one. You can find that name on your birth certificate. Some people are confused about the name they must use. Here are a few examples that will clear this doubt for you and help you choose the right name. Clerical errors can't be ruled out. They occur every now and then on birth certificates. Some parents don't mind the error and accept it. Such a name is called the acknowledged name. In this case, you should use the name with the mistake, as written on your birth certificate, to find out your Expression number. If your parents don't accept the mistake and have you grow up with the name that they had chosen for you, you should use this name to find your Expression number instead of using the name present on your birth certificate. This means that you ignore the mistake made. How do you find your Expression number? To find out what your Expression number is, you should first write your full name. Then you should place the right number below each letter. Add all the numbers of the first name until you get a single digit. Keep that number aside and repeat the process for your middle name if you have one and then for your last one. You will now have three single digits. Add them to form a single digit. You will have your Expression number! 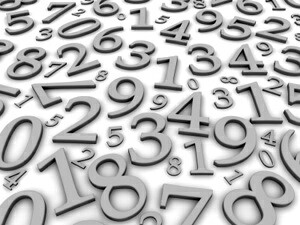 Note that if you end up with a number such as 11, 22, 33, and so on, you don't need to form a single digit. This master number is enough. Through your Expression number, a number of things are revealed such as your mental and physical constitution about the goal you have in your life. 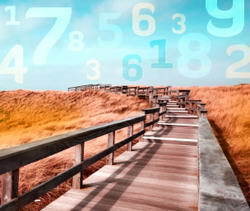 Numerologists like to call these numbers the destiny because they actually represent your target in life. Once you know what your inner goals are through your Expression number, you will be able to be identify who you want to be and work towards being that person. Your Expression number will make you realize your abilities, shortcomings, talents, and so on when you were actually born or when you entered your body. You will know everything about what strengths you possess and what you should be working on in this life. 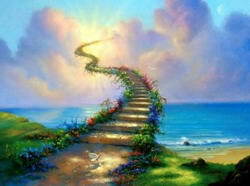 If you believe in reincarnation, know that the energy that comes from your full name will tell you about your personal evolution. Know that the wisdom, the talents, and the experiences you hold are a result of the accumulation of many life times. Each and every encounter in your past lives, no matter how big and no matter how small, will have an influence on you and your state of mind currently.